Parent involvement is supremely important for the success of their children. 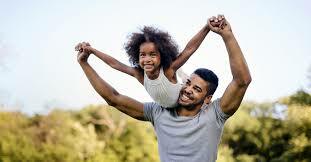 Dad’s especially, as Dad’s are usually the primary sport influence in the family. Tiger William’s dad and Wayne Gretzky’s dad are fantastic examples of the power of Dad’s influence and there our countless further examples! For simplicity, we’ve broken down how Dads can support in 5 essential ways. Huge passion is the single greatest indicator of a future superstar. Passion is the inner motivation to get those key hours of practice in that are needed to build the requisite skills to be great at a sport or craft. Dad’s can show passion through talking positively about the sport, getting excited to watch or play the sport, and speaking well about professional athletes in the sport as well. Demonstrating passion is often much more effective than trying to tell children to get excited, or to practice more. The passion has to be shown and the energy has to be transferred to the children, from their main source of environmental sports influence, their Dad. Parents can get very into the sports and can show much passion. Unfortunately, some parents are so passionate that they can be hard on their young child just trying to learn the sport, destroying their enjoyment and self-image. A Dad’s support and encouragement providing great feedback can really make a major difference. Encouragement can come in the form of the positive feedback sandwich such as: “That was a great shot, I could see what you were trying there, but we can definitely work on the accuracy a bit more so you can get that next time in the game”. Dad’s being knowledgeable about the game can greatly increase the feedback that athletes get at home, and can help the child to improve on a daily basis. The more parents know about the different skills, nutrition, physical attributes needed to succeed, the greater the parents can support with feedback. TAC Sports promotes knowledge through our Youtube Channel that corresponds to our 5-Star Development System. It is our mission to help parents understand and learn as much as possible about the different processes for each of the sports that their children are doing. Dad’s can support by providing an opportunity for their children to increase their skills. 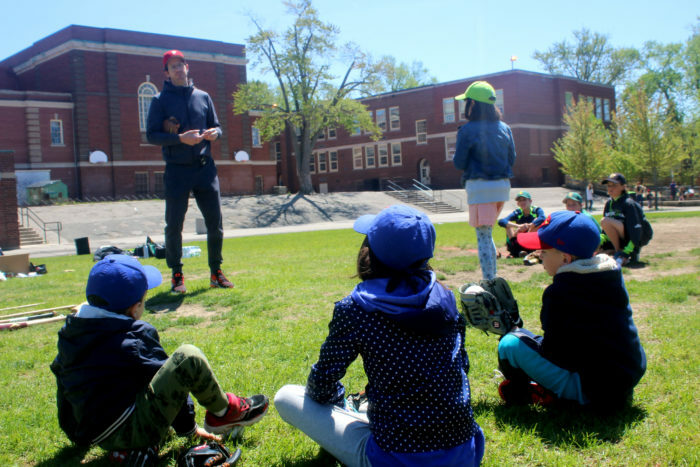 Dad’s can help their children by going out and playing with them at the park, and by providing them with additional coaching opportunities, like our Summer Camp. Our ex-professional baseball coach, Justin Adam, supports his two daughters by playing with them and including them in some of the programs at TAC Sports. He’ll be teaching our competitive baseball program during the Summer. He’s a great dad because he’s constantly providing an opportunity for his daughters and through support through being there. Dad’s support by being there for their children, whether that’s them going to see their soccer, baseball or tennis games, or by helping to drive them to practices and camps. Dad’s support and presence can inspire an athlete to get to the next level. Thank you to all the Dads out there and Happy Father’s Day!